We display below the latest NHL playoffs odds for you to continue your hockey betting excitement. If you want to look at the final National Hockey League overall standings, they are displayed in our NHL regular season page. Find below game by game odds for NHL playoff contests. 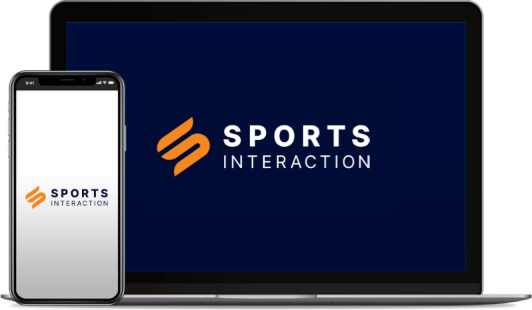 Click on any price to connect to daily LIVE lines at the sportbook of your choice. Good Luck to everyone during the thrilling Stanley Cup Finals race and enjoy the matches! Although the Blue Jackets finished their season on a high note (going 4-0-1), they are no match for the 62-win Tampa Bay Lightning. 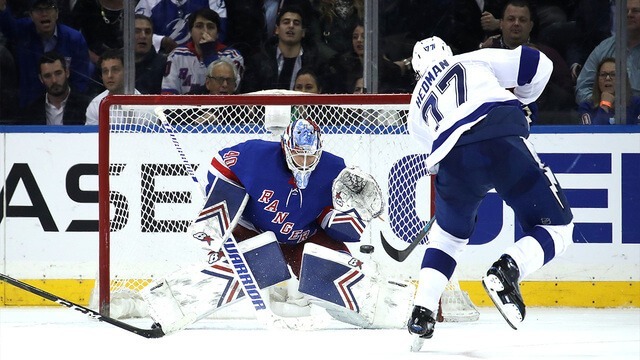 The Lightning are the best team in the NHL this season (leading the league in goals, penalty kill and power play). The Lightning should win this series in four or five games. The New York Islanders were possibly the biggest surprise in the NHL this season, improving by 23 points from last season and allowing the fewest goals in the NHL. However, the Islanders lack playoff experience and they scored 50 fewer goals than the Penguins this season. Take Pittsburgh’s experience (no franchise has as many playoff wins – 96 – since 2008) to triumph over the Islanders stingy defence. After a shaky end to the regular season, the Leafs finished seven points behind the Bruins in the standings. The reason for their late season decline is their play on defence. The Leafs allowed more goals than any other Eastern Conference playoff team. 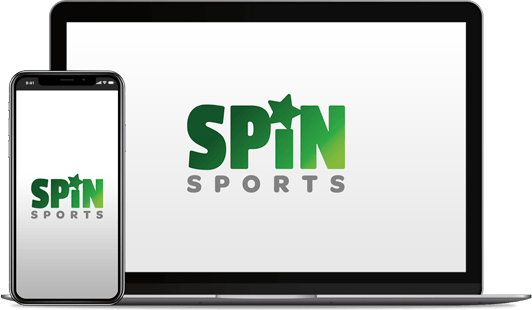 Their inability to stop teams from scoring (the Leafs have allowed at least four goals in nine of their last 14 games) should have fans worried and bettors looking to take Boston to win the series. Probably the best Eastern Conference series to bet on the underdog is the one between Washington and Carolina. The Hurricanes are surging as they enter the playoffs. They own a 15-6-1 record since February 21. The big knock against betting on the Hurricane is their 0-4 record against the Capitals this season. However, the playoffs are a different beast and every year one hot team pulls off an upset. 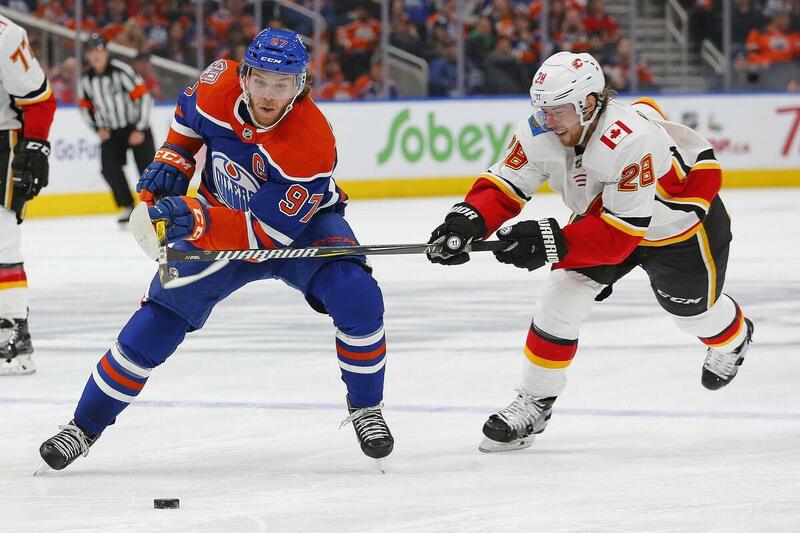 Although the Calgary Flames are not the best number one seed in Western Conference history, they are good enough to deal with the Colorado Avalanche in the first round of the playoffs. While the Avalanche have one of the best forward trios in the NHL this season (MacKinnon, Landeskog and Rantanen combined for 101 goals this season), Calgary has much more depth on offence and a superior defensive core. Of all eight First Round playoff series, online sportsbooks have the opening odds on this one as the closest. For most of the season, the Jets were the better team of the two in this series. However, over the last ten games of the season, the Blues have vastly outperformed their Central Division rivals. Still, the Jets showed last season they can make noise in the playoffs and even after a slow end to the season, the time off should have Paul Maurice get his team back to peak performance. With the worst goal differential of any team in the playoffs, the Stars are in some trouble when they play the Nashville Predators. The Stars only scored 210 goals this season, third fewest in the NHL. Against a team with as much blue line talent as the Predators, the Stars forward will need to step up, and right now, that does not seem likely. With Erik Karlsson returning to the Sharks lineup and the Golden Knights winning only one of their last eight games this season, the Sharks are the better bet to win this series. The Sharks tied the Flames for the second-most goals in the NHL this season. The Knights are not as good defensively as they were a year ago, meaning they could have a hard team stopping the Sharks enough to win the series. NHL betting in Canada is at its peak when the NHL Playoffs start. The bettor must take in mind some different considerations compared to the NHL regular season before placing his wager: home ice advantage, solid goaltending, previous Stanley Cup experience, regular season head to head results are some of them. NHL Playoff Vegas Odds are explained below and we hope this will help you placing your wager. A moneyline wager involves picking whether the favourite or underdog will outright win the game. Throughout the first round of the NHL playoffs until the Stanley Cup Finals, NHL moneylines are the most popular betting option. Once the postseason starts, NHL playoffs odds on games are much closer. Even in last year’s one vs. eight series between the Tampa Bay Lightning and New Jersey Devils, no moneyline exceeded -238 on a favourite. Once out of the first round of the playoffs, about every moneyline on the favourite range between -140 and -190 (barring some significant injury). The lines progressively get closer until the Stanley Cup Finals, where moneyline favourites are in the -125 to -165 range. Despite the surprising fact that fewer games are decided by one goal in the playoffs than in the regular season (35% in the 2018 playoffs vs. 41.5% in the 2019 regular season), the puck line is even less popular in the playoffs. One reason is that road teams win about 50% of games in the playoffs. In the 2018 NHL playoffs, road teams won 52.4% of games. When road teams, who are a majority of the time underdogs in the NHL playoffs, win about half the games, it is a better betting strategy to bet them on the moneyline. Of course, if you shop NHL lines and consistently check hockey playoff odds, to see when the public has been hammering one side, the puck line can be worth a wager. Some may expect over/under betting lines to see a change once the postseason starts. However, unlike moneyline and puck lines, this type of bet remains relatively consistent with the regular season. In some cases, the NHL playoffs are higher scoring, on average, than the regular season. In 2018, games averaged a total of 5.94 goals. That number increased slightly in the playoffs to 6.02 total goals per game. The 2019 NHL season is the highest scoring (excluding the 2005-06 post-lockout year) since 1996. With the increase in goals, most NHL over/under lines are at 6.0. Expect the same in the playoffs. Once the NHL playoffs commence, NHL futures are whittled down to the 16 teams remaining and their odds winning their Conference and the Stanley Cup. The biggest underdogs at the start of the playoffs open around +2000 to win the Stanley Cup. Betting on underdogs is not a wrong approach in the NHL. From to 2009 to 2018, as many eight seeds have won the Cup as one seeds. Generally, the best value on NHL futures, once the NHL playoffs start, is to look at the odds on Division runner-ups. For example the Vegas Golden Knights (+520) and St. Louis Blues (+600) are offering good value to win the Western Conference. Both have quality rosters and are heating up at the right time. Some futures and props are taken off most online sportsbooks at the start of the playoffs. Division winners are the obvious one, but many player props are taken off the books, even though the NHL awards are not announced until after the Stanley Cup Finals. If you want to bet on player props such as Rookie of the Year, NHL MVP or the NHL’s top goal scorer, do so before the end of the National Hockey League regular season. Starting in the 1979-80 season, the NHL playoffs have featured 16 teams. There have been changes from the original NHL playoff expansion in 1980, such as increasing the first round from five to seven games and playoff seeding. In 2019 playoffs, every series is a best of seven and seeding plays a significant (albeit controversial due to the current playoff format) role in the postseason. The two Division winners from each Conference play the two Wild Card teams, the other two series are between the second, and third place teams in their Divisions. The winner of the second and third place series plays the winner of the series between the Division champion and Wild Card team. For example, the Boston Bruins and Toronto Maple Leafs (the second and third place teams in the Atlantic Division) will play in the first round. The winner of that series will play the winner of the Tampa Bay Lightning (the consensus Stanley Cup favourite and Atlantic Division Champion) second Wild Card series. After that, the last two teams meet in the Conference Finals, with the winners moving on to the Stanley Cup. The 2019 NHL playoffs begin on Wednesday, April 9. The regular season finished on April 6 and the first round of playoffs go until April 24. Five series start the first day, and the remaining three start the day after. On the rare occasion, especially in cities where the NHL franchise shares their arena with an NBA team, the series could start on Friday. There is no exact start date for the following rounds in the postseason. On average most start about 15 days after the start of the first round. However, series have been pushed up in the instance that the teams playing in the second round swept their first round opponents. The starting dates of the Conference Finals and Stanley Cup are similar to the second round. Typically the NHL playoffs conclude a few days into June, with the final game about a dozen games into June if the series last seven games.